Hi everyone! I'm sure you've seen these pics from the Cincinnati Convention posted all over the net by now, but I wanted them on my page, too. This page was taking so long to load that I decided to break the pics up onto their own pages. If you want to see more pics, just follow the links below. 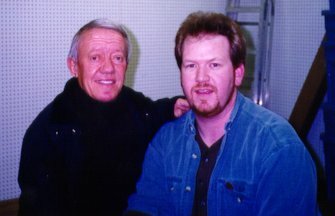 I would like to say thanks to GT (shown here with Kenny Baker) for the pics.